It took a couple days, but I successfully set up shop in Toronto so that I can play on PokerStars again. I already had the Canadian passport, but just like everyone else, I needed to attain the necessary documents then wait for the call from PokerStars security to verify the phone number, and voila! I'm back in action! I jumped right into some $25-$50 PLO 6 max deep with ante games, and within 5 hands I lost my first buy in HAHA. Had an open ended straight draw/flush draw versus top set and didn't hit. Oh well, it didn't hurt a bit, I was just glad to be playing again. I've been doing some "touristy" stuff of late, heading to San Diego for a few days, then doing Canada's WonderLand in Toronto, as well as, likely the CNE and CN Tower. San Diego was really amazing, best city I've been to anywhere in the U.S. Right on the beach, we did some surfing, chilling, and also took in SeaWorld. 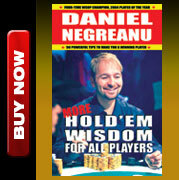 The plan now is to head to Barcelona on the 26th for EPT Barcelona. I'll be staying for the entire tourney no matter what, because at the end of that we'll be shooting some new commercial spots for PokerStars. From there I'll be on vacation/grinding WCOOP's on PokerStars. First stop is Montenegro for a week, then we'll head to Budapest. We "might" make a short drive/trip to Romania, but that's not set in stone yet. At the end of September, it's off to London, for EPT London. Then, a three week trip to Cannes for WSOP Europe. At the end of that, a drive up the road to EPT San Remo, a super juicy tournament! I left Vegas on Aug 21st and won't be back there until October 27th. In Nov/Dec I may take in some Leaf games in Toronto, do the online grind, and spend Christmas with my brother and his wife until heading over to the PCA in January. I'm sure I'll fit some tournaments in at some point as well. As for my online poker plan, I'm probably just going to jump into whatever games seem the most lively, which at this point looks to be pot limit Omaha which is a fun, swingy, gambling game with high variance. I'm going to stick to the $25-$50 game for now until I get my used to playing online again. I'm hoping to play a bit of everything really, just fun to have that option again. For those of you who can, I really suggest moving out of the United States of America to a country that will allow you the freedom to play poker in your underwear. Canada is a great option, but you could go pretty much anywhere in the world that suits your fancy. During the Cold War, the "Big, Bad, Communist, U.S.S.R." was seen as an oppressive regime, while the U.S.A. represented freedom. Who woulda thunk, that to enjoy the freedom of playing poker online you'd have to move away from Los Angeles and and head to Moscow. That's just bizarre. 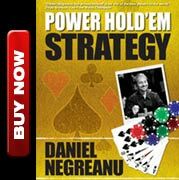 Poker has changed dramatically over the last 40 years, and in order to survive, you have to adapt to the newer forms of poker, as well as adapt to new locations. These days, that just means, stay away from the U.S. because poker is on life support, but there are tons, and tons, of games across the globe to choose from. Seriously, if you really want to make a good living playing poker, it's time to think about moving to a country that will allow you to do so. If things ever change in the U.S. you can always move back, but at this point, just like being relocated in a "normal" job, you've been relocated to any "office" you want outside of the United States of America.